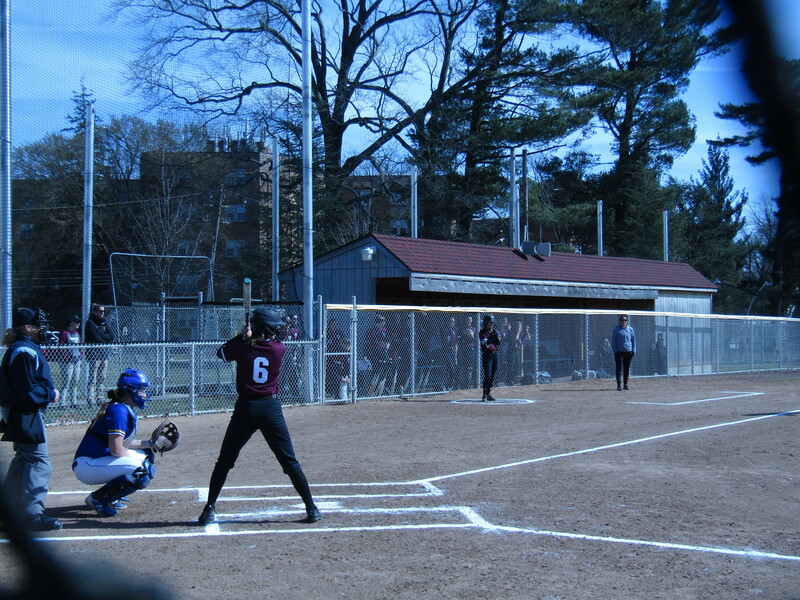 The Swarthmore women’s softball team is currently in season and has already put up an impressive 8-5 record. It began its season with a 10-2 win at Wesley a month ago. So far, they’ve recorded nine wins, many blowouts, and five close losses. Before last season, the program hadn’t had a winning season since 2008. Since she started coaching last season, Coach Melissa Finley has turned the program around. She’s already seen a significant change in her team’s performance and culture. Finley brings a full slate of expertise to the program. In addition to being the Ivy League Player of the Year at Princeton during her undergraduate years, she’s competed for the Canadian national team from 2003 to 2005 and is currently on the team’s coaching staff. 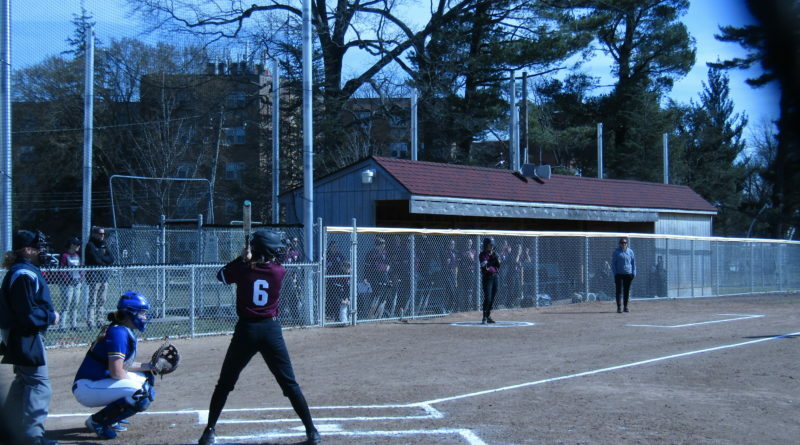 Previously having coached Division I softball at Colgate University and the University of Pennsylvania, Finley’s competitive background at the Division I level is propitious for the Garnet softball team. According to Junior captain Gabriella Natoli ’20, Finley has emphasized team bonding as part of her vision for the program. From the change in team culture to building a more supportive team, the softball team has developed rapidly. Despite the team’s taste of success last season with its 17-15 overall record, Natoli is fueled to improve on its 7-9 conference record this year. “It’s good to know my teammates are there for me and will help me out whenever I need it,” Natoli said. On top of the addition of Coach Finley, first year infielder Eva Karolczak ’22 thinks their team’s work with the strength and conditioning coaches has been instrumental in their success so far this season. Finley praises her captains Marit Vike ‘’19 and Natoli ’20 for stepping up as leaders this season. Natoli has even picked up a new position to fill in for an injured catcher. With a freshman class of only three, their presence has been felt. The three first years have have contributed 31 hits, 21 runs scored, and even one home run so far. Karolczak is one of the first-years to make an impact and has made a nice transition to college athletics. Instead of playing against opponents her same age, she’s faced with the challenge of competing against others who have had many more years to develop. Although challenging, Karolczak’s transition was eased by the resources available here. To be able to compete at this level, Karolczak has continued to use the weight room after picking it up in high school. “The fact of the matter is that college coaching and having the staff and resources here is way different from what I had previously, and so I wanted to be able to use these resources to get better and to contribute to the team as a whole,” she said. The softball team is only 15 members deep and as a result is very closely knit. A shorter roster has allowed more players to contribute, even first years. “The goal we have is to win conferences and win NCAAs,” Natoli said. With a month left in the season and conference play approaching quickly, the softball team is expecting to continuing winning and plans to take home the conference championship. Catch the Garnet’s first conference game as it faces Muhlenberg on Tuesday!